Donald Trump has expressed doubts over the existence of climate change, as it is understood by the vast majority of scientists. 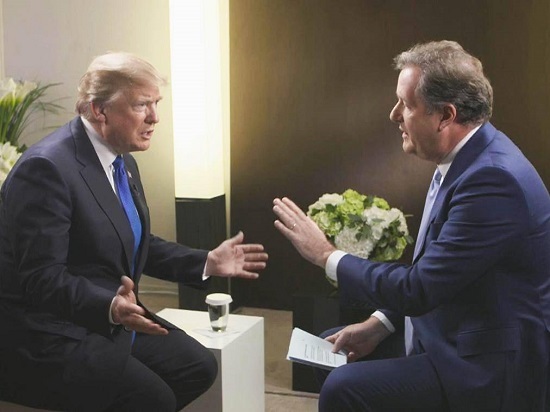 After proclaiming his belief in “clean air and clean water”, the US President questioned some of the central tenets of climate science in an interview with Piers Morgan. 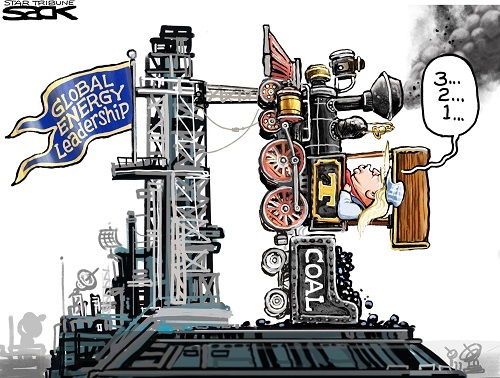 Mr Trump also repeated previous statements that he could “go back” into the Paris climate agreement, but said that he would only make such a decision if he could get “a good deal” for the US. US President Donald Trump dismisses climate change and global warming in a TV interview this evening where he justifies leaving the Paris Accord because it was "a disaster" for America. In a rambling and somewhat incoherent response to questions from Piers Morgan. He says, "There is a cooling, and there's a heating. 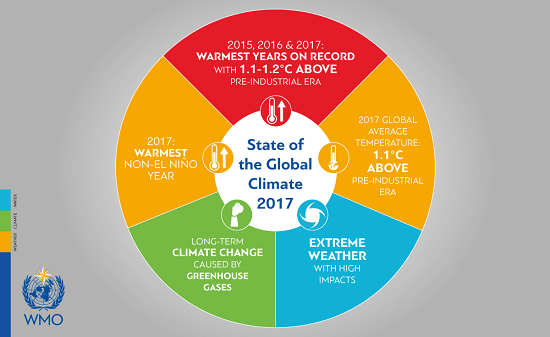 I mean, look, it used to not be climate change, it used to be global warming. That wasn't working too well because it was getting too cold all over the place. "The ice caps were going to melt, they were going to be gone by now, but now they're setting records. They're at a record level." Climate change is a crisis. Serious damages are already underway, there’s enough carbon dioxide in the atmosphere to ensure more damages to come, and if carbon emissions continue unchecked, species-threatening damages become a non-trivial risk. Lots of people acknowledge this. But it’s one think to acknowledge it and another to really take it on board, to follow all the implications wherever they lead. Very few people have let the reality of the situation sink in deep enough that it reshapes their values and priorities. Being a consistent climate hawk, it turns out, is extremely difficult. Let’s take a look at an example of what I’m talking about, and then pull back to ponder the broader problem. Just a year into his term, President Trump has already gained a reputation for being staunchly anti-science, with his administration recently described as showing “greater distain for science” than any other in modern history. 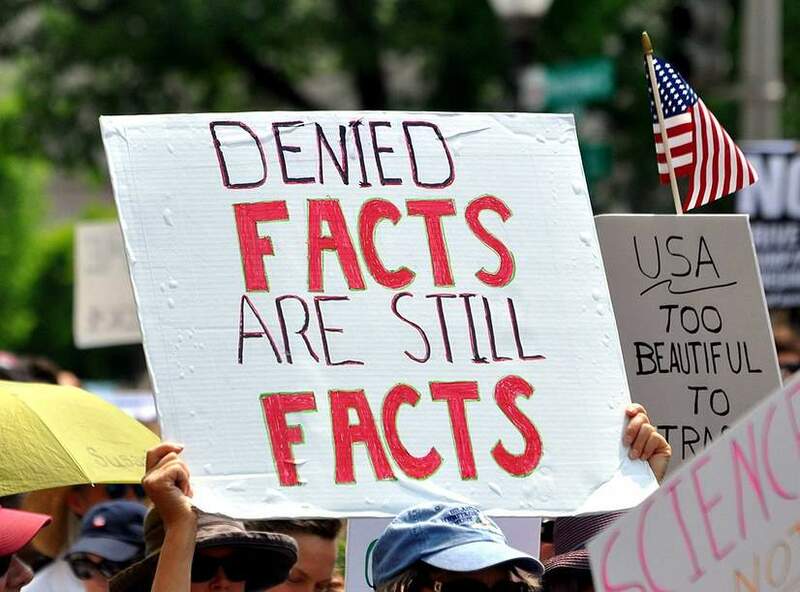 Every day, it seems, there is a new report of the administration reducing public access to scientific information, cutting funding for scientific research, or downplaying the views of qualified scientists. 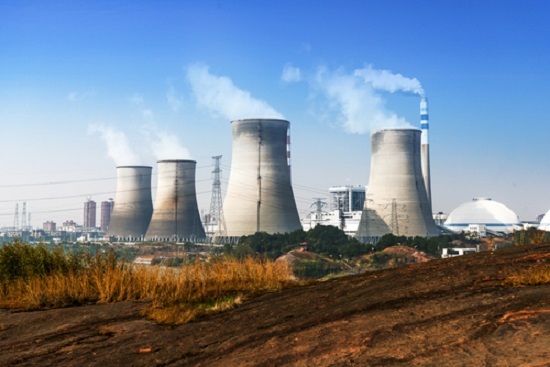 To keep track of these developments, the Sabin Center for Climate Change Law, in association with the Climate Science Legal Defense Fund, today launched a new Silencing Science Tracker (SST). Scientific knowledge is the very foundation of all environmental regulation. When the government ignores science, it’s like a truck driver who wears a blindfold and drives based on what is whispered into his ear — dangerous and intolerable. 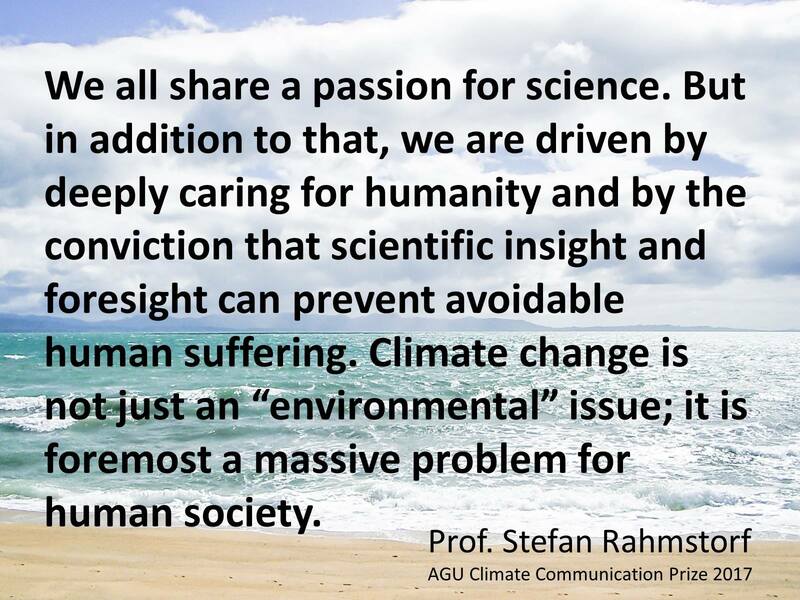 The vital work of scientists must be supported, made public, and listened to. When government officials block this, we plan to shine a harsh light. A separate study conducted by John Cook – author of the “Debunking Handbook,” which addresses how to debunk myths – resulted in similar findings. 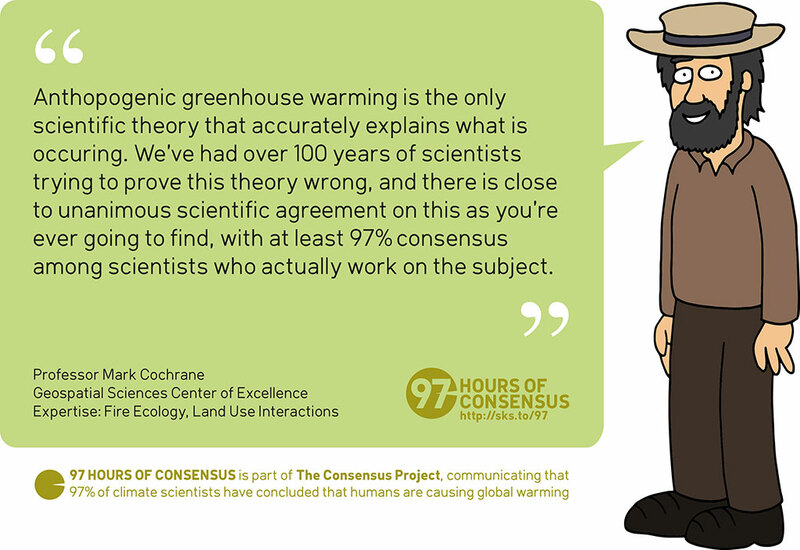 Cook’s study found that highlighting scientific consensus could increase people’s perceived consensus on a topic. This reduces the impact of misinformation. Many people believe that the most appropriate way to address false information is to not discuss the myth, rather to only highlight the facts. However, Cook’s research found it is best to address misinformation head on. But the love for NASA doesn't mean the GOP embraces the agency's stance on climate science.Last year, only 18 percent of Republicans said they worried a great deal about climate change, according to Gallup. The incongruity between support for the space agency and its climate warnings stems from a "crucial tension in conservative attitudes towards climate change, according to John Cook, a research assistant professor at the Center for Climate Change Communication at George Mason University.